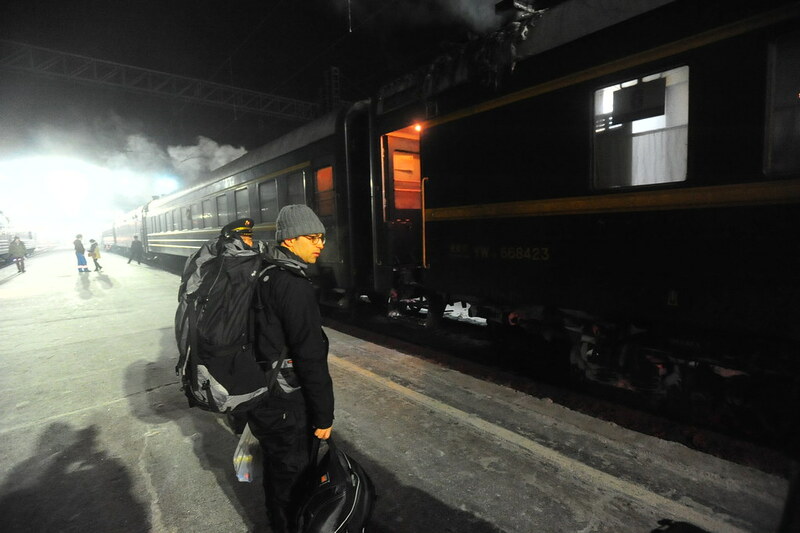 This morning we woke up early for our 7am pickup for Train #004 from Irkutsk to Ulaanbaatar departing at 8:12am. 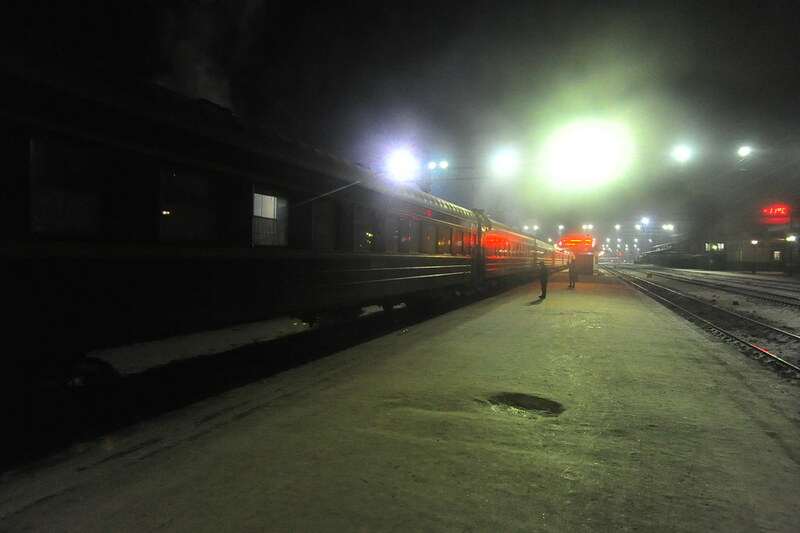 And there our train stood waiting for us, emerging from the hazy mist of an early morning fog as if out of a dream — this is where the Trans-Mongolian Railway diverges from the main Trans-Siberian. A travel goal and dream finally come true. 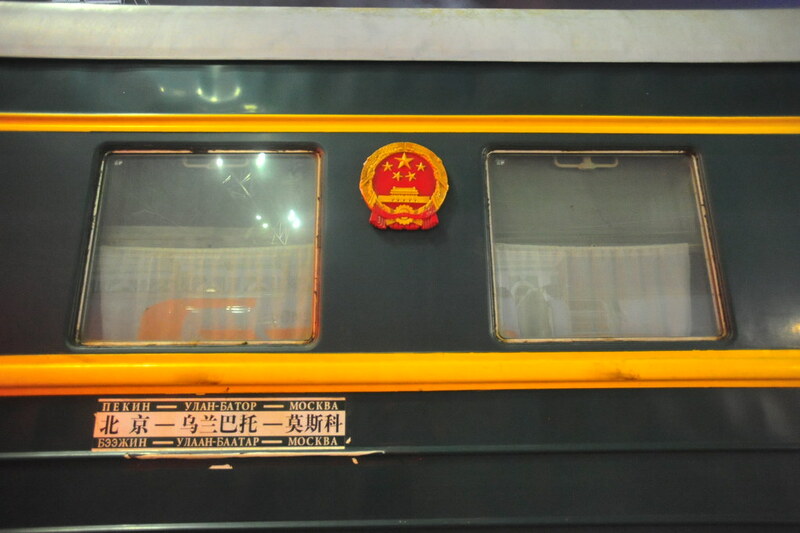 The train attendants for Train #004 from Moscow to Beijing are Chinese, so the moment I began to speak in my other mother tongue asking if this was the right train, the attendants stood aghast how a bunch of USA citizens could befall their ears with such Mandarin in the middle of a Siberian winter. The doors thus opened, and we were promptly assigned to our cabins. JC was unfortunately and inexplicably paired by himself with a paranoid schizophrenic; the moment JC sat down on his bed, he was peppered with short, caustic anti-American statements by a man pacing in his room who spoke in a textbook case of paranoid delusions, flight of ideas, tangential responses, and pressured speech (yeah I’m diagnosing here). From an opening introduction consisting of 9/11 conspiracy theories, accusations of treason, beliefs that the US government were tracking down his movements, while deferring questions of where he came from, this guy had bad news written all over him. 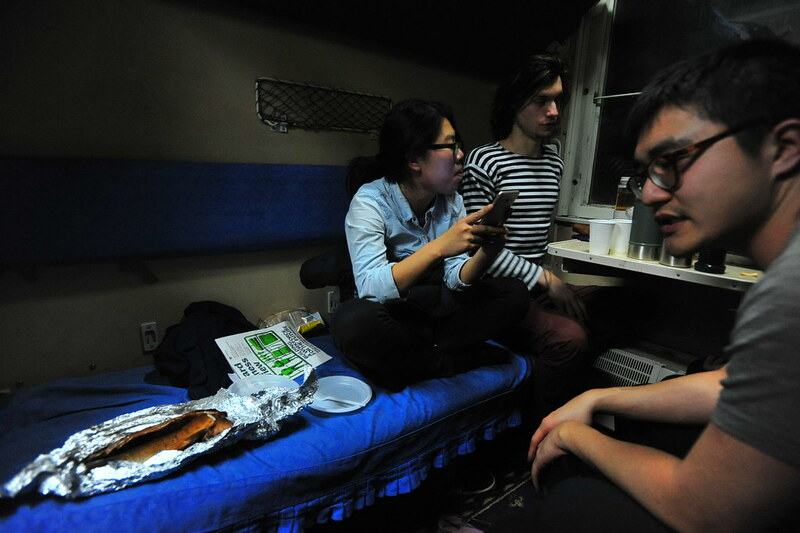 After overhearing the bizarre conversation next door, I informed the train attendant in Chinese about the situation and JC was immediately switched with another passenger and moved into our room with the rest of the group. 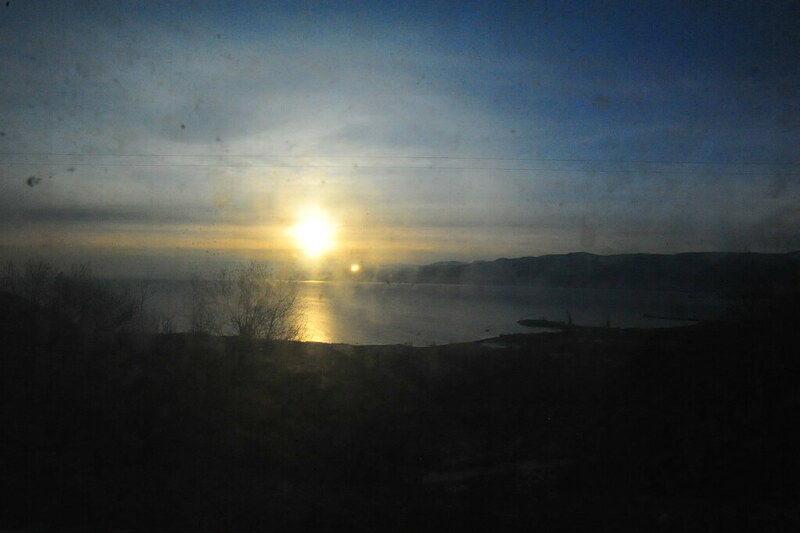 The rest of the trip wasn’t as dramatic; after an hour and half, Lake Baikal unveiled itself once more. 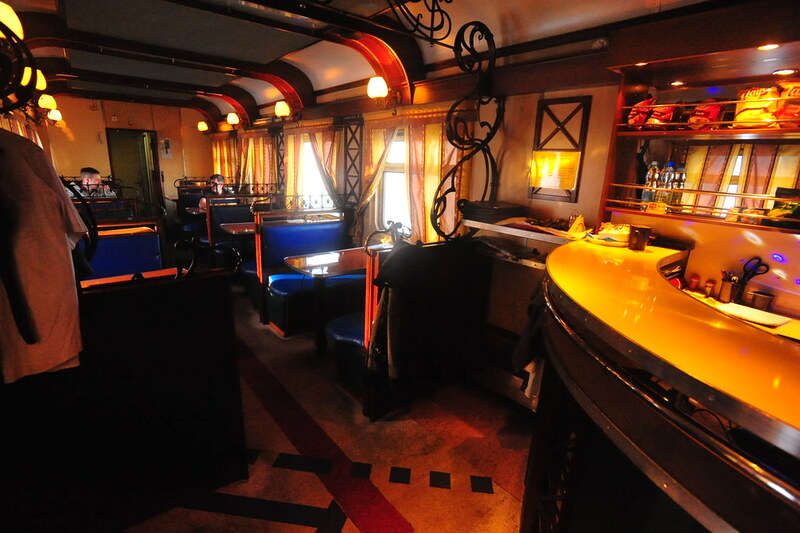 We then headed over to check out the dining car. While a charming place to sit in, the food is overpriced for what you get. Only eat here if you’re starving and you got nothing else. 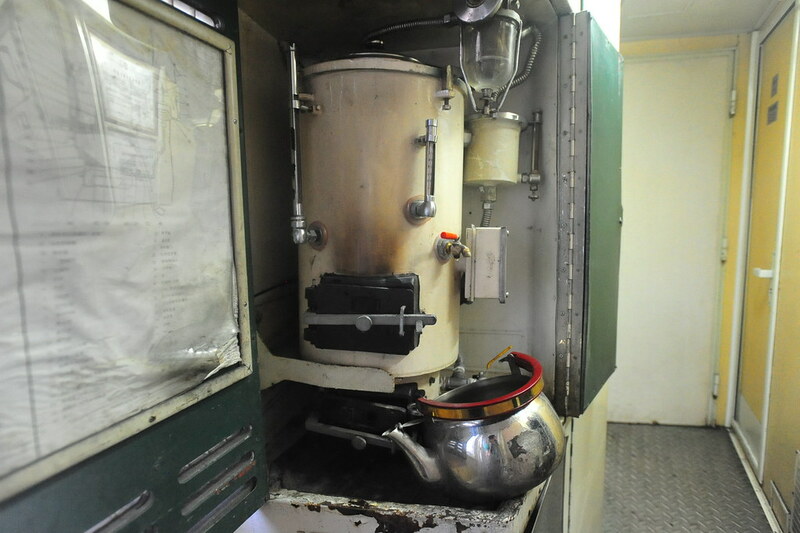 Thanks to the holy samovar consistently serving boiling water at the end of every car, we indulged in endless instant coffee, tea, and instant noodles while commandeering an empty cabin for ourselves. 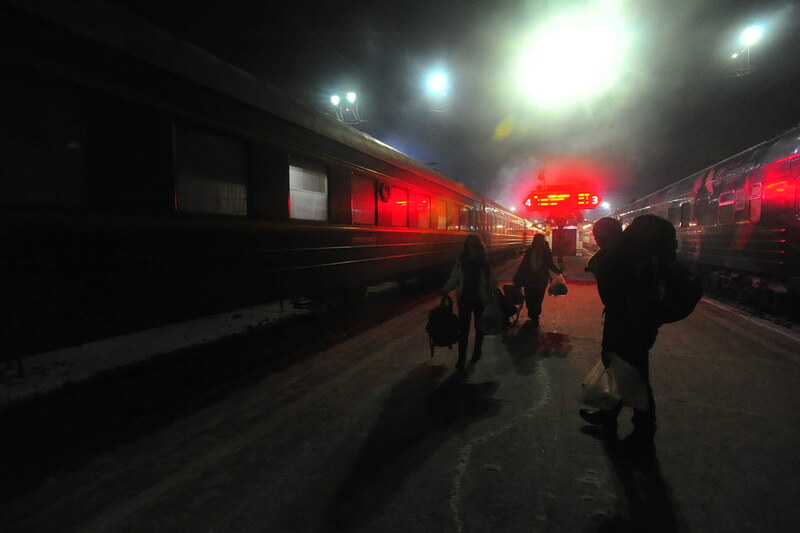 At exactly 3:02pm in the afternoon, we stopped in Ulan-Ude for 45 minutes. 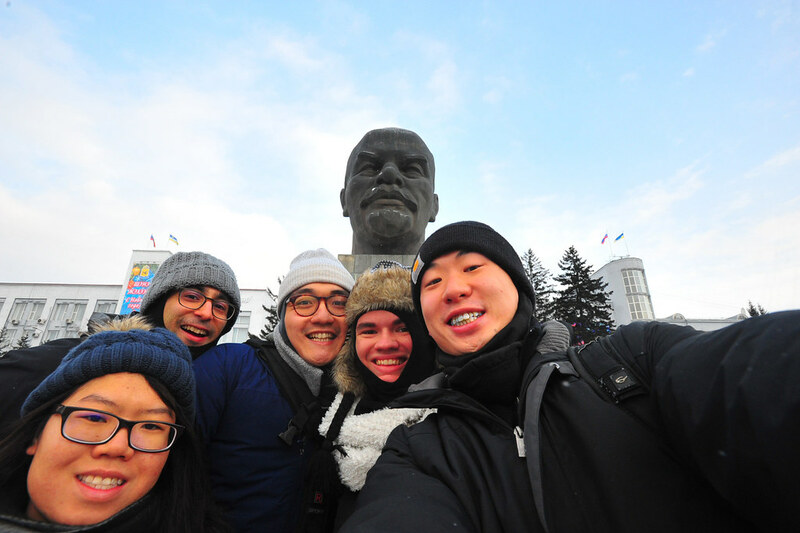 Knowing and having read in previous travel blogs of travelers rushing out to see the world’s largest Lenin Head Statue within the 45-minute stopover timeframe — with a few barely getting back to their train on time and others giving up altogether — we decided to take up the challenge ourselves. According to Google Maps it would be a 20-25 minute walk each way from the train station to the statue. That’s cutting it close! So exactly at 3:03pm the 5 of us bolted outside the train station while Melissa volunteered to stay behind and take our bags onwards to Ulaanbaatar in the scenario that we wouldn’t make it back on time (the fail-safe plan was to take the faster 10 hour bus from Ulan-Ude to Ulaanbaatar and beat the train). But using our noggins, we said “screw this” and flagged down a taxi waiting outside. We then pointed to the Russian word for “Lenin Head” and made hand gestures indicating that we wanted a roundtrip after taking photos. The driver understood and the mission was in play. The drive took just 4 minutes. Once it pulled into the parking lot, we barreled out of the car and darted past a winter holiday festival filled with little children bewildered to our sudden appearance. 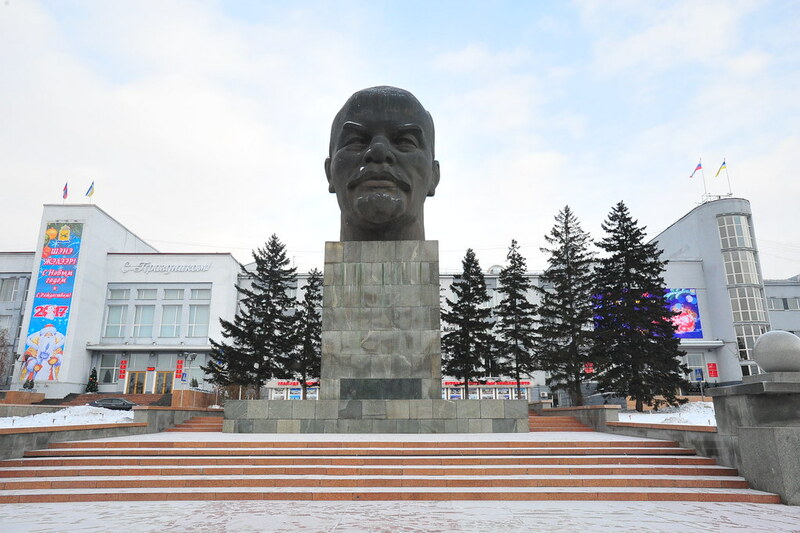 And there in the center of the town square stood the statue of the world’s largest Lenin Head, staring at us cross-eyed and yet surreal in its presence, while striking us with this dumb awe that such a structure could even exist on this planet. After taking our photos, we sprinted back to our cab as quickly as we dropped in and gave the driver 200 rubles for his troubles. 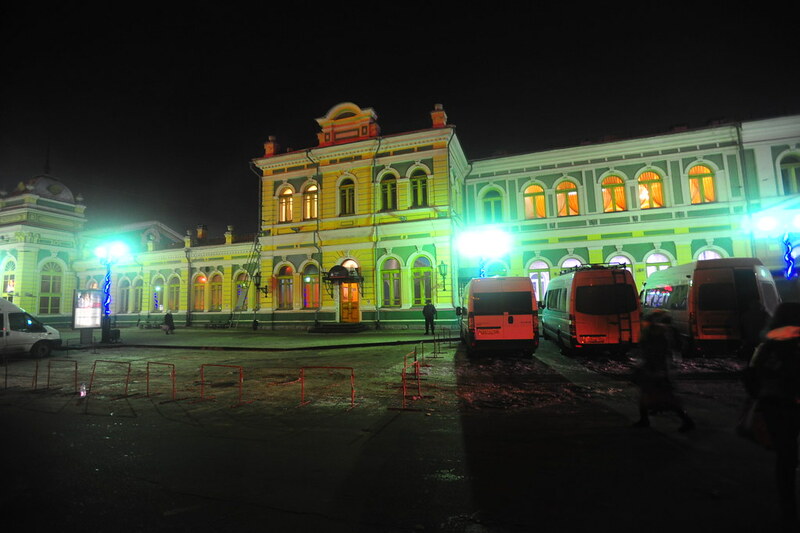 We were back at the station within minutes at 03:22pm, with 25 minutes to spare. 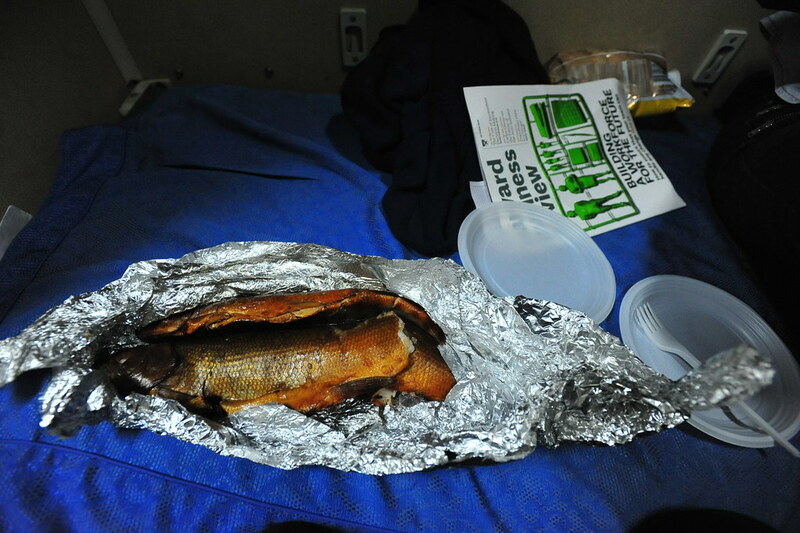 We then celebrated with Siberian vodka, making new friends with our German bunkmate Lucas, and eating more omul from Lake Baikal. Sorry not sorry for stinking up the cabin that doesn’t even belong to us. After 6 hours of stream-of-consciousness conversations, snacking, and the occasional cat nap, we finally reached Naushki located at the edge of the Russian frontier with Mongolia. 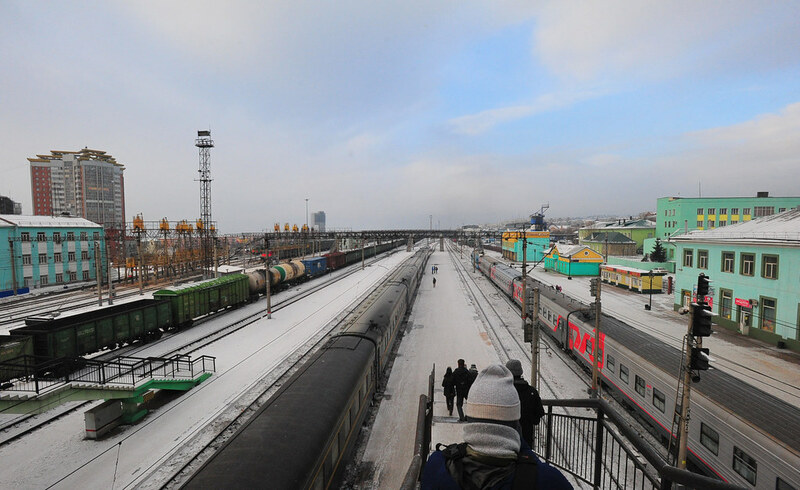 There we were told not to leave the train as Russian border guards came onboard, took our passports, rifled through our luggage, searched our room, and headed back outside with our passports to give us exit stamps. 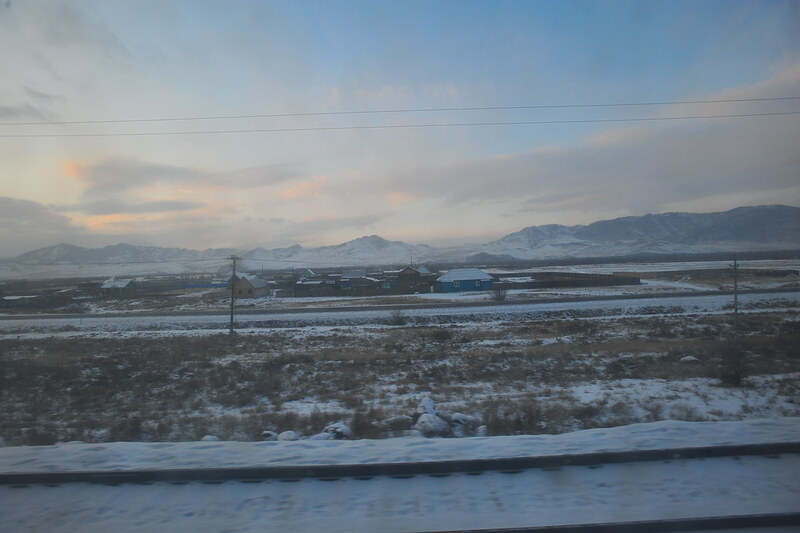 After about an hour and 40 minutes stuck on the train during this process (if you take the other trains that arrive in the middle of the day instead of at night, you get up to 3 hours to get off the train and explore), we were given back our passports before chugging along for another 30 minutes over to the Mongolian border town of Sukhbaatar, Mongolia. 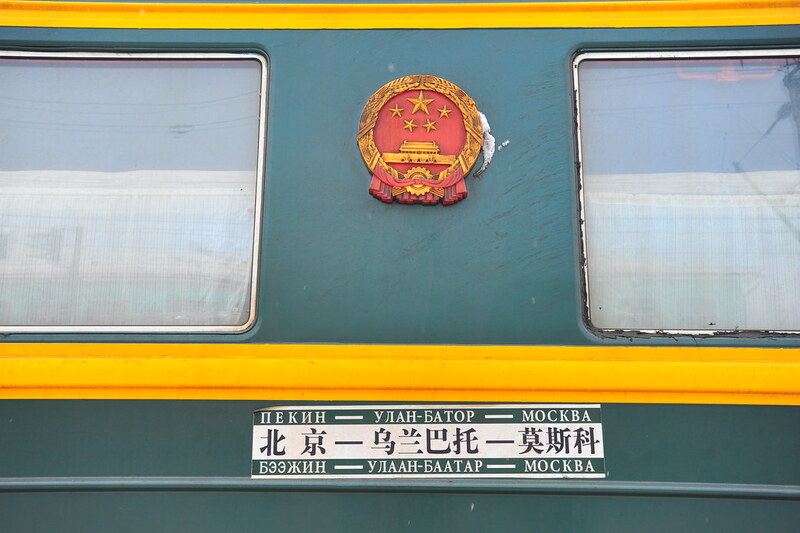 Once in Sukhbaatar, Mongolian border guards came onboard to perform the same routine in reverse. And after another hour and 40 minutes on the train having our bags searched, room taken apart, and our passports stamped in, we’re finally allowed to proceed (they’re handing back everyone else’s passports as I’m writing this). I believe there are but we did not research this until we had our horse rides in Ulaanbaatar. We saw tons of ponies. Cold as in -22C with no wind chill, thus we were not affected. 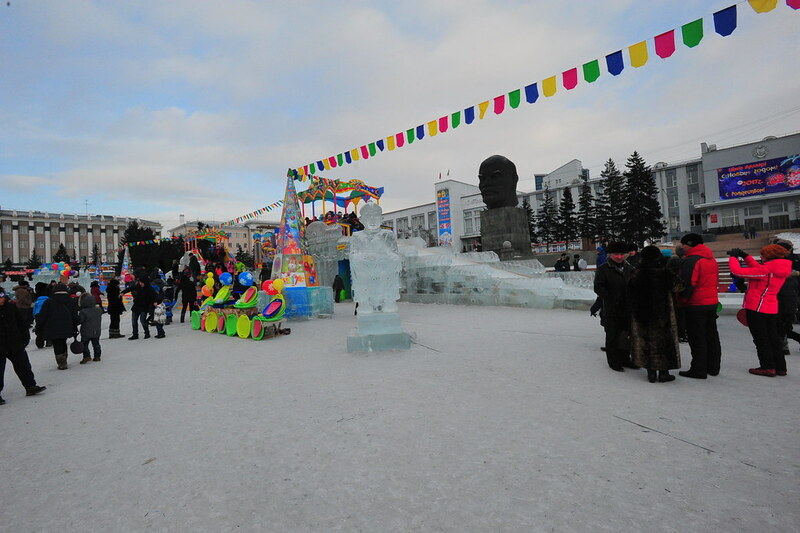 Are there horse rides between Lake Baikal and Sukhbaatar? If so what is the time frame? Did you see any Mongolian ponies? When you say cold, just what do you mean? 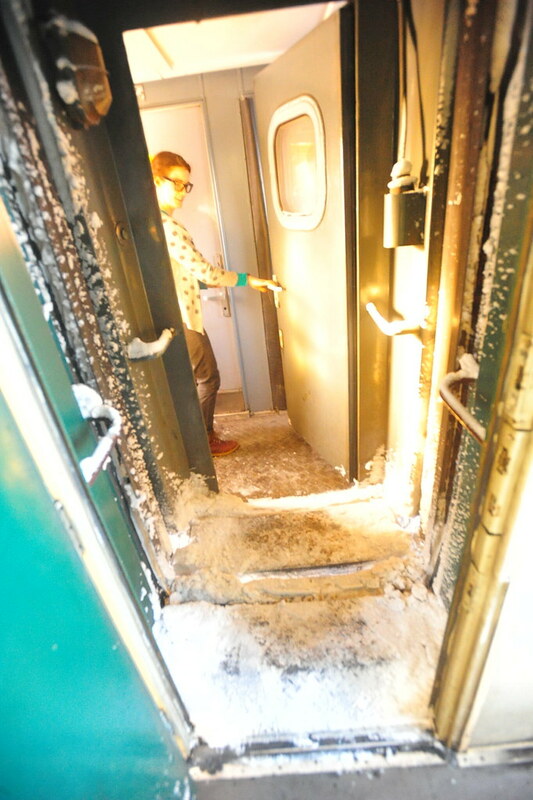 Were you effected by the wind-chill factor? Were there Siberian winds? I loved the intimacy you shared with the Mongols you met in your journey. Please add more.